I live in the San Francisco Bay area where a year ago a horrible natural gas pipeline explosion ripped through a suburban community killing people and destroying a neighborhood. All across America the headline news stories and video of the San Bruno explosion sent chills down the spine as every homeowner watched wondering if that could happen in their neighborhood. Thankfully, such tragedies happen rarely but as infrastructure ages and maintenance costs get squeezed the stuff buried underground gets neglected taking on that ‘out of sight, out of mind’ feeling that gets us in trouble. The US Department of Transportation says that perhaps as much as one-half of the US natural gas pipeline system has not been inspected from the inside, or tested with high-water pressure techniques PG&E is now required to perform across its gas pipeline system. The other problem is changing regulations. Before the 1970’s regulation did not require the detailed record-keeping and inspection required today. So in an incident like San Bruno, PG&E cannot easily produce records for an old pipeline because they were not required when the line was built and have not been generated from the inside camera inspection or water testing techniques now common. Earlier in my career I served in Illinois as general manager of the public utility regulatory division of the Illinois Commerce Commission where one of my duties was to manage the gas pipeline safety office. Fortunately, nothing like San Bruno happened on my watch. But we had a few situations that would make anyone anxious. I went along with our inspectors on more than a few occasions to see for myself what they did in assuring public safety and what they looked for in clues to problems ahead. Much of this inspection and review process is a paperwork exercise. Does the utility have its pipeline maps and records up to date? Are there records of inspections, findings and actions taken? What about customer complaints, leak reports and follow up repairs? What is the preventive maintenance schedule and is it being followed? What is the capital investment in replacement compared to the useful life of the pipe? What is the experience of the pipeline maintenance crew? What is the company’s track record of complaints, inspection failures, abuses, compliance? 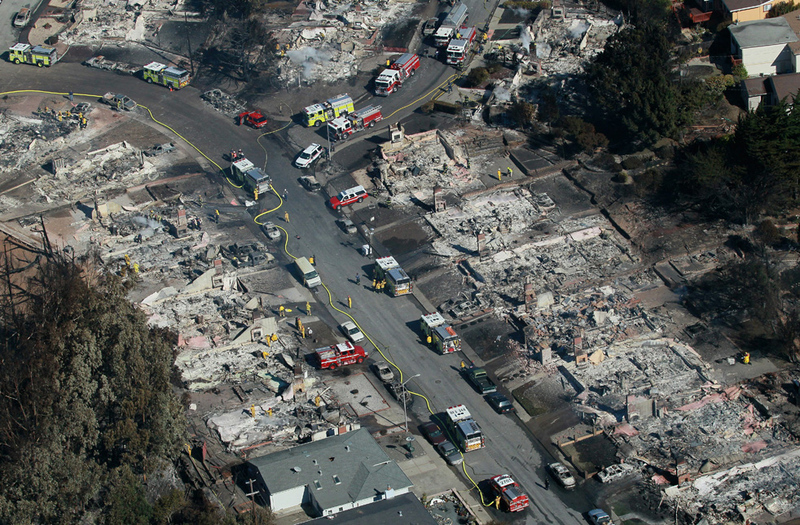 What does the San Bruno tragedy have to do with disruptive technology? The gas pipeline safety inspection and review work described above is often tedious but important to assure compliance, reporting and maintenance tasks are being done that make the difference. When problems happen often that data is fragmented and not easy to bring together quickly. 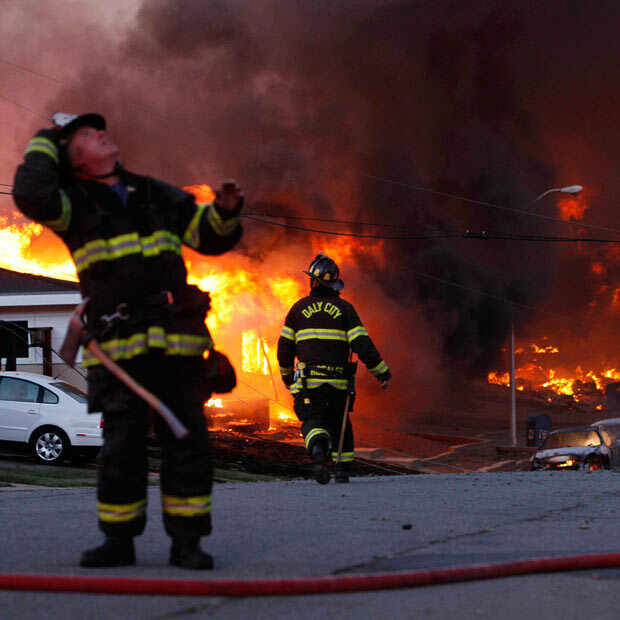 We all want to avoid future San Bruno pipeline explosions. Today we have technologies that make doing those essential tasks easier and more actionable when they are needed most by re-purposing some interesting disruptive technologies from their original uses to create new end-to-end solutions and applications to address this type of problem. Why do I call these disruptive technologies? Because they disrupt old patterns and practices and substitute new ways to do old things more cost effectively and efficiently. Disruptive technology is game-changing. It forces us to re-think the way we do business. It opens our eyes to new ways to solve old problems. FIELD DATA GATHERING AND SYNCHING SOFTWARE FROM THE OIL PATCH. In remote locations where oil and gas companies explore for new resources there is no internet and no cell phone service but there is a need for data from the office and there is new data collected in the field. So solutions have been developed to use rugged handheld devices to enable field crews to access historic data on a project and update that with new data they enter in the field and store on a micro disc much like those used in digital cameras. Back at the office that disc is uploaded and the data synched ready for the next use, the next crew, the next design project, the next field problem. For a utility gas pipeline crew it is their link with everything the utility knows about the pipeline they will work on today—and everything that worker will discover on site that might prevent another explosion. It empowers every worker to help set maintenance and repair priorities, and it validates the input of scores of workers over time to validate the data and keep it current. HARVESTING THE KNOWLEDGE AND EXPERIENCE OF WORKERS FROM PHARMA. More than one-half of the experienced workforce of the typical utility will retire over the next five to ten years. Those baby boomers will take with them experience, knowledge, insight, and judgment that are very hard to replace and not always written down. Fortunately this is a problem for many high tech industries like pharmaceuticals where the intellectual property in the head of its scientists goes home every night. How does a knowledge business capture, retain, use and protect all that creative property? They use structured, results-driven processes for capturing vital knowledge, deep insights, methods and complex cognitive processes and then organize them for use across the business, to train replacement scientists, and to gain insight into methods and techniques to create new products. The approach uses a variety of applications combining declarative, procedural, conditional, social, and systemic knowledge gather techniques. For scientists it is a way of documenting their life’s work and empowering the next generation of scientists to continue that work for another lifetime. For a utility with an aging natural gas pipeline system it is a way of getting its current and retired workforce to tell the stories of their life’s work and fill in the gaps in knowledge, information and judgment about risk exposures that can prevent another San Bruno. What better legacy could someone ask from a career well spent. INTERACTIVE DATA VISUALIZATION TO TURN DATA INTO INSIGHT FROM DEFENSE . Collecting all this data can easily turn into a big data problem. Many industries today face this situation. In the energy industry, the use of smart meters that read and report data every ten minutes instead of having a meter reading go to the site every month naturally produces really big data problems. Utilities are putting that data to work to design smarter more efficient ways to operate their transmission and distribution systems to assure reliability, protect our energy security and optimize the performance of the power grid. Data visualization software and predictive analytics techniques discover insights, patterns and relationships hidden in public, cloud, social network and enterprise data to deliver a unique approach to interactive data visualization that blends agile data integration, dynamic relationship mapping, and interactive visual analytics to reveal insights in big data. For a utility with hundreds of miles of pipelines, thousands of values and other appurtenances, multiple input streams and scores of alternative ways to route the natural gas to balance pressures or avoid a catastrophe like San Bruno putting that data to work quickly is not only valuable—it can be lifesaving. These techniques have been developed and perfected over time for military and defense applications, for use in crime prevention, congestion analysis and other network and pattern analysis applications now being repurposed to keep you safe at home too. REPORTING, COMPLIANCE TRACKING AND LEARNING FROM EDUCATION & HR. Add a reporting system that extract data from these solutions and organizes into standardized reports and compliance tracking logs, assignments for follow-up work and a record of it being done and the circle is complete. Social networking applied to business is a perfect way to link all the key players together and deliver access to these solutions in one place. One way to do this is with social learning software that integrates training, networking, data access and best practices into one easy to use online solution. Cloud based enterprise solutions are quickly adding features and functionality to put these tools to work across the Fortune 1000, but you don’t have to be a big business to find ways to use these tools through web-based applications. There you have it four proven, commercially available technology tools that are changing the face of business that can be repurposed and used to solve a serious public safety problem. Even better, these tools are adaptable to many verticals or other business applications where data, schedule, work force management, content, reporting and compliance and similar applications are needed. This entry was posted in Product Strategy and tagged Business, Illinois Commerce Commission, National Transportation Safety Board, Pacific Gas & Electric Company, Pipeline transport, San Bruno, San Bruno California, United States. Bookmark the permalink.